-Students will determine the slope as a rate of change, write an equation in the form y=mx, and graph a line to represent a proportional relationship given the slope. -Students will determine the y-intercept from a table or graph and write as an equation y=x+b. -Students will solve single-step and multistep practical problems, using proportional reasoning. -Students will solve percent of a number problems involving tax, tip, and discount. -Students will solve problems involving the relationship between corresponding sides and corresponding angles of similar quadrilaterals and triangles. -Solve one and two step linear inequalities with one variable and graph the solution on a number line. 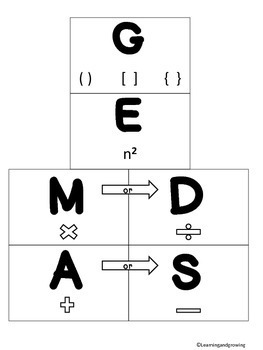 -Students will represent algebraic expressions using algebra tiles and pictures. -Students will evaluate algebraic expressions for given replacement values. Have difficulty remembering how to multiply integers? -Students will determine the surface area and volume of rectangular prisms. -Students will determine the surface area and volume of cylinders. -Students will determine if a practical problem represents the use of surface area or volume. -Students will solve practical problems involving surface area and volume of rectangular prisms and cylinders.